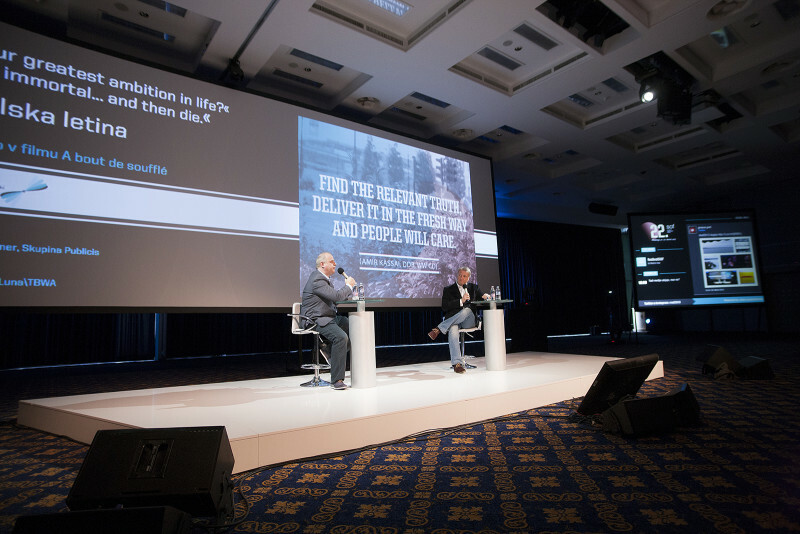 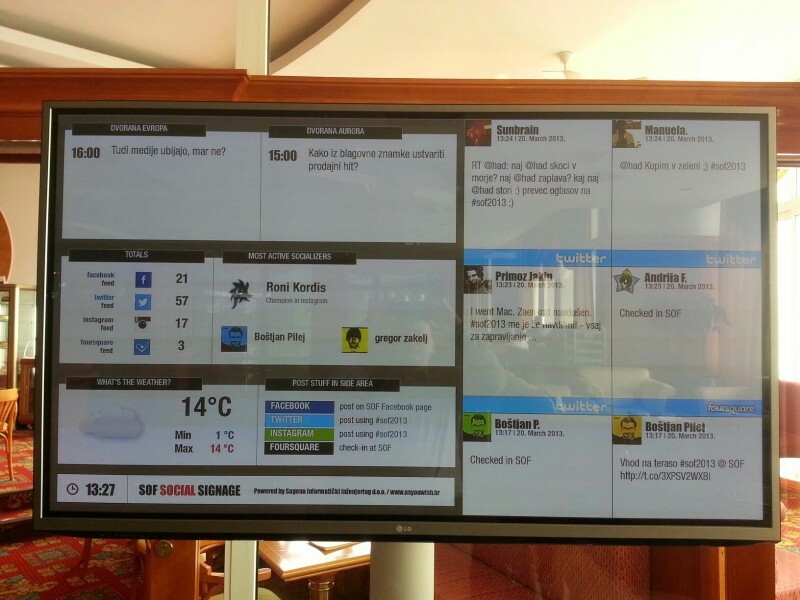 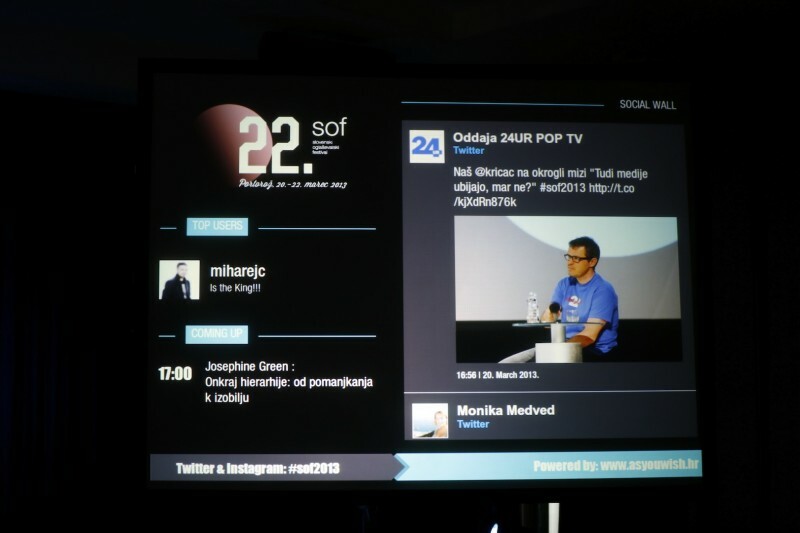 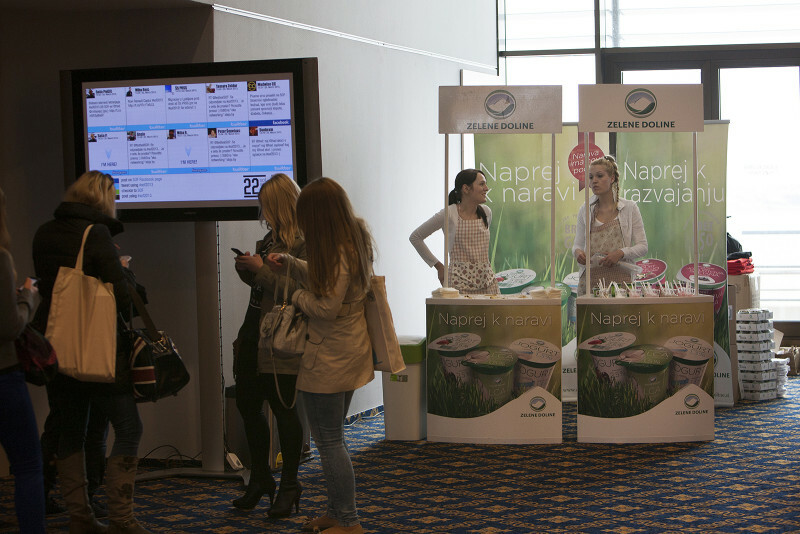 SOF, Slovenia’s biggest marketing event held in Portoroz, March 2013, was technically supported by 5 Sagena’s digital signage screens. 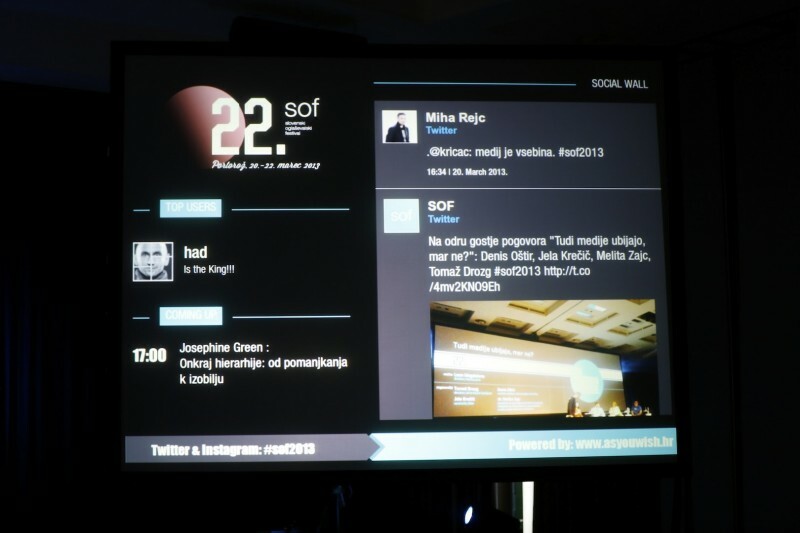 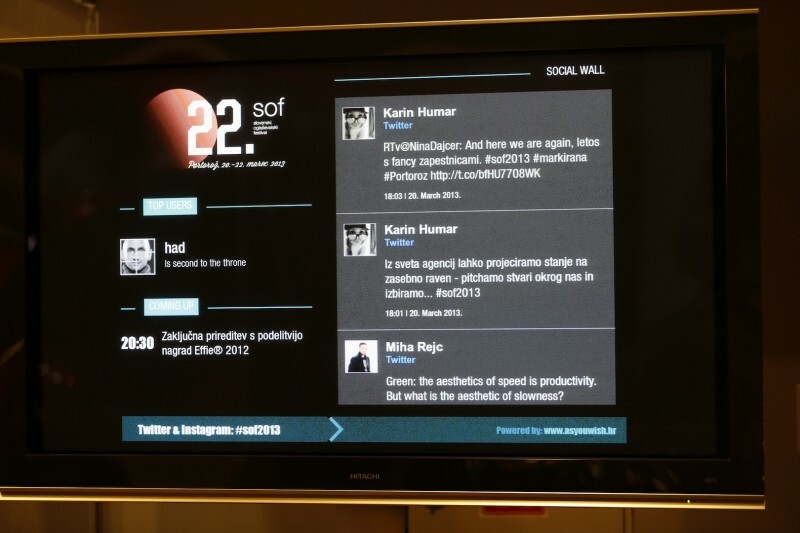 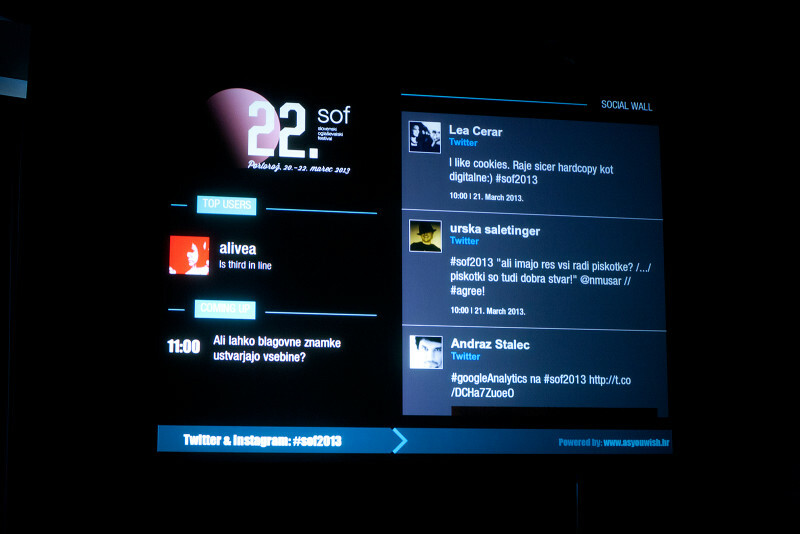 In the main hall was large projection with twitter wall. 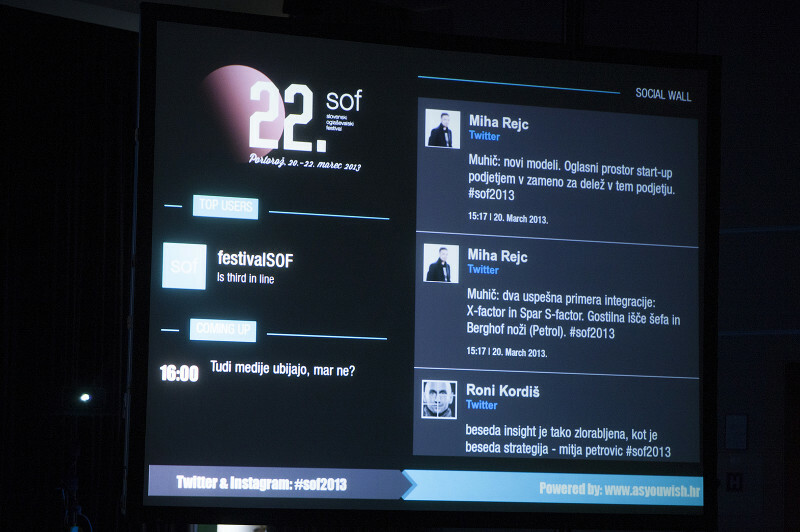 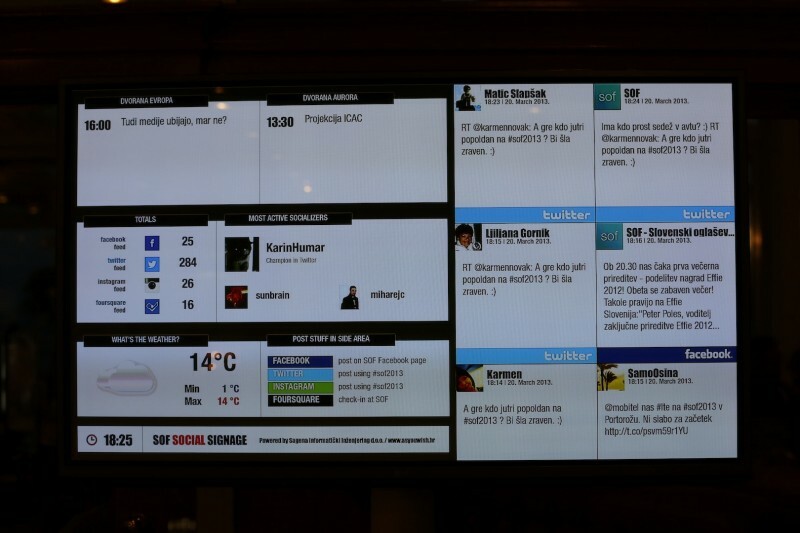 Screens (or social walls) with tweets and Instagram posts, screens with the weather and service information, festival’s Facebook page, Instagram, tweets and Foursquare chek-ins were placed all around.